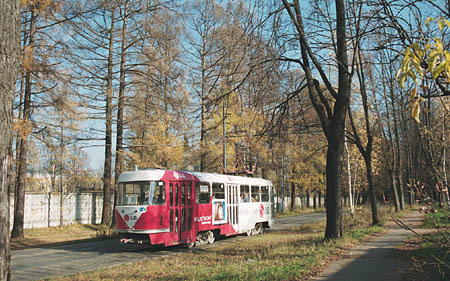 A tram came to Izmailovo district to the east of Moscow in 1925. 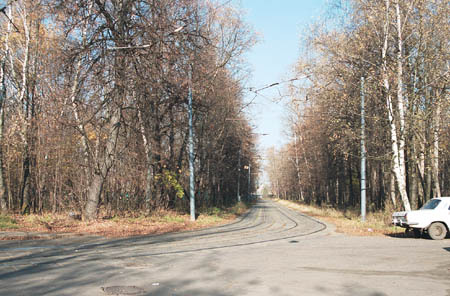 A decade later this line was extended to a new settlement Izmailovo, which soon became a part of Moscow. The tramline crosses a great forest, which remains almost virgin (at least in the central parts) until today. 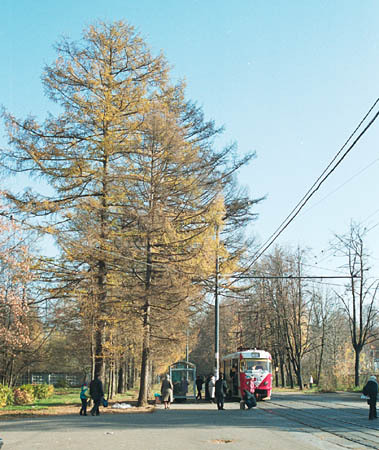 A vista named "2nd Street of Izmailovo Zoo". Indeed, there was a Tzar's Zoo here in XVII century. An excellent view of the same place in winter. Just look at those hoar-frosted branches! Golden autumn in Izmailovo Forest. We in Moscow had a very warm and sunny autumn in 2000. A crossroad of Izmailovskiy Prospekt and Narodniy Prospekt. 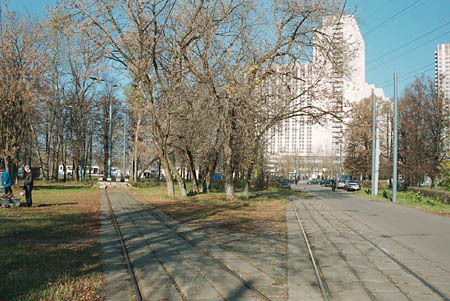 To the left one can see tracks to Izmailovskiy Park tram terminus. 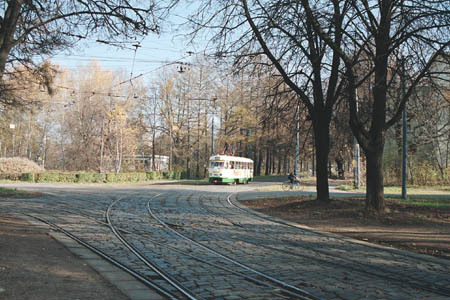 Izmailovskiy Park tram terminus is a simple single-track loop and a short stub track with a bumper - there it looms in the left. In the distance a Metro station and a great hotel are located. 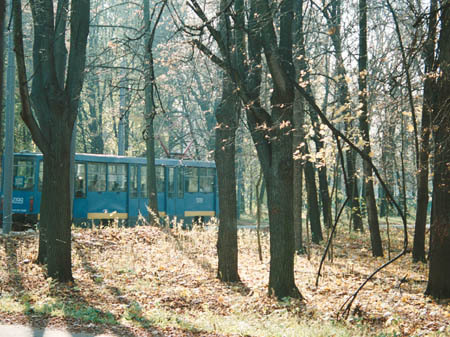 This tramstop is near a Luna-Park in Izmailovo Forest. 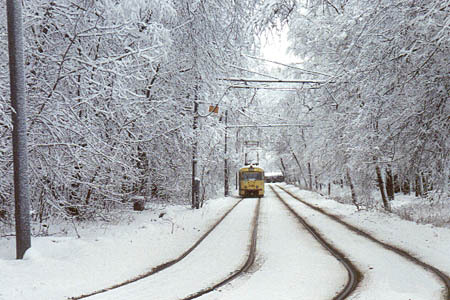 The tramline runs along a silent alley which was once planned to become a vast road - Izmailovskiy Prospekt. That plan was not fulfilled, and today we can look at beautiful forest landscapes with trams as the only transport here.